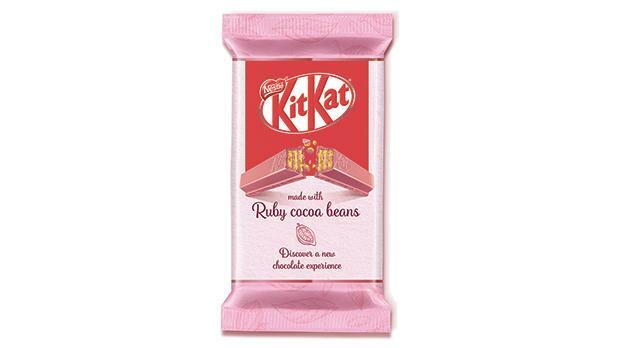 Chocolate lovers in Malta are now able to try a crispy four-finger KitKat bar made with pink ‘ruby chocolate’, a new fourth type of chocolate that has been developed to join the other traditional varieties of milk, white and dark chocolate. Created in September last year, ruby chocolate is made from a unique cocoa bean which naturally produces a vivid pink colour and an intense, smooth and berry-like taste. The creamy and fruity flavour is evocative of milk and white chocolate blended with raspberries, all without the use of any extra additives, flavours or colours. Nestlé unveiled KitKat in Japan, Korea and the UK earlier this year and it is now also available in Malta, along with the more familiar milk, white and dark chocolate KitKat counterparts. If you buy a bar and want to tag, use the following hashtags: #KitKatRuby, @KitKatMT (FB), #PINKMondays and #UnexpectedBreak.